Netflix Inc premiered its first original series in India in a sheen of Bollywood glitter on Wednesday, upping the stakes in its battle with streaming rival Amazon Prime for a chunk of the country's more than 1 billion potential viewers. The success of original US shows like "House of Cards," "Orange is the New Black" and "Stranger Things" has been at the heart of Netflix's seduction of 125 million subscribers globally. But like other US entertainment firms, it has identified the need to create local content as important in winning viewers in some of the big emerging markets which are likely to dominate growth over the next decade. A Hindi-language thriller set in Mumbai, "Sacred Games" launches less than a month after the success of its Indian film "Lust Stories" and comes at a time when fellow US heavyweights Comcast Corp and Walt Disney Co are vying for control of Indian pay TV network Tata Sky as part of their fight for Twenty-First Century Fox Inc. Both "Lust Stories" and "Sacred Games" seek to marry the Western styles and values that exposure to Netflix and Amazon has brought to younger Indians with the rich and varied output of the country's massive domestic film industry. 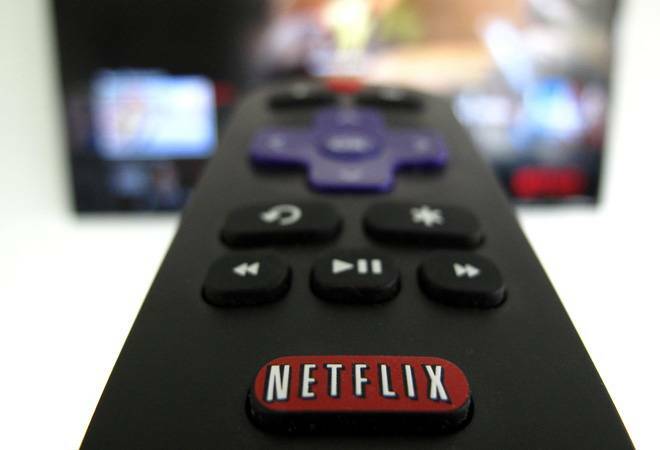 Netflix is spending $8 billion this year on original content and has said that figure will rise as it seeks to cement its position at the head of the streaming industry globally. The company's international streaming revenue grew over 58 percent last year, according to latest filings. With China's heavily censored market proving a hard nut to crack, India is at the heart of that growth. Netflix plans to release another three original shows there this year compared to Amazon's planned 10 while both have also been battling to sign some of the country's leading stand-ups for specials. An action-driven police procedural that will also be familiar to foreign viewers, "Sacred Games" is anchored by Bollywood star Saif Ali Khan as a policeman with 25 days to head off a terrorist threat to Mumbai. It is directed by Bollywood veteran Anurag Kashyap and also stars Nawazuddin Siddiqui and Radhika Apte. "Sacred Games" outlines the life of a police officer, Sartaj Singh, tipped by an anonymous call one morning promising him an opportunity to capture the powerful criminal Ganesh Gaitonde. As the story unfolds, it becomes clear that there is a lot more at stake in the game than initially seemed. The film's stars and directors, all well known veterans of India's huge Bollywood film system, greeted more than 250 specially invited Netflix fans and celebrities outside tech capital Bengaluru's Forum Mall for the premiere.